There is a vast range of exciting career opportunities in the legal field. If you are interested in law, you can find a job that suits your educational background and qualifications. Legal jobs range from office assistants right up to working as a judge in a court of law. The educational qualifications needed for these positions vary, and if you choose an entry-level position and enjoy your work, you may decide to become more qualified and move into a different position. Legal file clerks are entry-level positions. In general, these positions do not require education beyond a high school diploma. Legal file clerks are responsible for keeping track of important documents in both paper and electronic files. Legal file clerks work in law firms, insurance companies, and government agencies. These positions are a great way to get an inside view of the legal field without the need for further education, they are also a great opportunity for ambitious workers to get their foot in the door and gain valuable work experience in a legal setting. The Houston Chronicle describes the file clerk's role and opportunities for advancement. Erin Brockovich is probably the most famous legal file clerk. Legal secretaries are responsible for a variety of administrative tasks including scheduling, tracking deadlines, screening calls, and preparing legal documents. They typically work for one or more attorneys and many legal secretarial positions require a high school diploma and secretarial training. There are however, certificate, diploma, and degree programs offered by some colleges and associations that may meet position requirements. Legal Secretaries International explains the education and skills needed by a legal secretary. NALS, the association for legal professionals, describes the certification available for legal secretaries. Paralegals assist attorneys with case preparation. The job titles paralegal and legal assistant are interchangeable. Paralegals' specific job responsibilities depend on where they work. Those working in small law firms usually have greater responsibilities than paralegals working in large law firms or corporations. Although paralegals cannot give legal advice, they often do the same type of work as attorneys and support the function of their superiors. They interact with clients, draft legal documents, and even assist attorneys at trials. The National Federation of Paralegal Associations outlines the educational requirements for paralegals. A list of typical job responsibilities is available from the National Association of Legal Assistants. Legal nurse consultants work in law firms, insurance companies, and government agencies. In addition, legal nurse consultants may work on a freelance basis. Their job responsibilities include analyzing medical records, educating attorneys and other staff on medical issues, finding medical experts, and assisting with depositions and trials. Legal nurse consultants typically have a nursing degree and clinical experience. Although they are not required to have additional education, there are educational programs for this specialty. Detailed information about the job responsibilities of a legal nurse consultant is available from the National Alliance of Legal Nurse Consultants. The American Association of Legal Nurse Consultants explains how nurses can enter this field. Court reporters transcribe pre-trial and court proceedings. They use a special type of shorthand and transcription equipment to generate verbatim transcripts. New technology allows court reporters to make "real time" recordings, and these recordings allow attorneys and judges to see testimony on computer screens as it is given. There are certificate, diploma, and degree programs in court reporting. Careers in court reporting lists different educational institutions that offer training in this field. The Florida Times-Union provides an overview of this profession. The National Court Reporters Association describes certification requirements. Legal recruiters work in law firms, corporations, and recruitment agencies. They find and recommend candidates for job openings, conduct performance reviews, oversee staff training, and review and monitor human resource policies. They also develop relationships with educational institutions who may recommend job candidates to them. Legal recruiters have a bachelor's degree and many have law degrees. The Association of Legal Career Professionals describes recent trends in legal recruitment. Global Post discusses the personal qualities needed by legal recruiters. Mediators use an informal process to try to resolve disputes. They do not make decisions or give orders. Instead, they try to get the parties to a dispute to reach an agreement and work in several different areas, including the court systems, government organizations, and in private practices. Some attorneys are mediators, but you can become a mediator without a law degree. The qualifications mediators need are different in each state and within distinct mediation programs; for this reason, it is important to review the requirements of the state in which you live and/or work. The National Association of Certified Mediators provides a general certification program for mediators. The International Mediation Institute describes three types of mediation. A prosecutor is a qualified lawyer that represents the government in criminal cases. Other names for prosecutors are district attorneys or state's attorneys. Prosecutors for the federal government are United States Attorneys. Prosecutors' responsibilities include investigating cases, interviewing witnesses, and presenting cases at trial. The American Bar Association explains how to become a United States Attorney. Five prosecutors tell Columbia Law School about their careers. Public defenders are lawyers paid by the government to provide legal representation to certain defendants in criminal cases. Defendants may be required to meet income criteria in order to qualify for a public defender. These professionals may work directly for the government or may be on a panel of attorneys available to act as public defenders. They prepare and then present a defense at trial. An inside look at the life of a prosecutor and a public defender is available on PBS. Two public defenders discuss what they did to get their positions on ULaw Today. A title examiner researches whether or not title to property is valid, including whether there are any restrictions on the title. The term title refers to the legal ownership of property. Some research is electronic, but title examiners often have to review numerous paper files in order to come to a fully informed conclusion. Title examiners work for attorneys, insurance companies, real estate agents, banks, or in private firms. They are not required to have advanced formal education, beyond the high school level. It is, however, common for them to have at least some college education. The National Association of Land Title Examiners and Abstractors explains certification requirements. O*Net Online provides a detailed description of job duties performed by title examiners and the skill set needed for this job. A victim advocate helps and supports victims of crime. Victim advocates work in the court system, in police stations, and in private organizations. They provide practical assistance, counseling, and information to those they are working with in order to best educate and assist the victim. They may accompany victims to court and explain the judicial process to them. Victim advocates usually have bachelor's degrees and may also receive training from the organization they work for. The National Center for Victims of Crime provides detailed information about the role of a victim advocate. The Office for Victims of Crime describes the variety of training courses available to victim advocates. Crime scene investigators collect and analyze evidence from crime scenes. They also testify at trial regarding the evidence collected. Crime scene investigators are members of law enforcement agencies who have specialized training in forensics. Local, state, and national law enforcement agencies as well as private forensic laboratories employ crime scene investigators. Extensive information about crime scene investigators is available from the International Association for Identification. Probation officers work with convicted persons whom have been afforded probation, instead of serving time in a penitentiary. They explain the terms of probation to offenders and set up a regular meeting schedule. Through these meetings, they check to see if offenders are complying with the terms of their probation. Probation officers also conduct investigations to ensure offenders are not involved in any activity that violates their probation terms. The job requirements for probation officers vary, but many require at least a bachelor's degree. ProbationOfficeEDU provides an overview of the role of a probation officer and the job requirements for each state. A description of the role and requirements of probation officers in the federal court system is on the US Courts website. 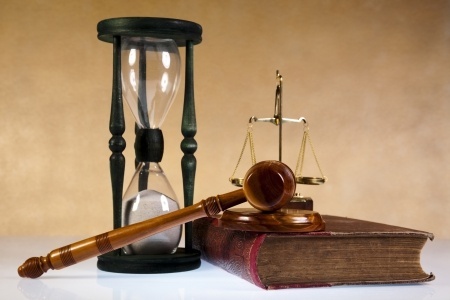 Civil litigation attorneys handle non-criminal cases. Some bring claims on behalf of clients called plaintiffs, while others defend these claims for the person or entity being sued, the defendant. Civil litigation attorneys work in federal and state courts, and a lot of their work involves pre-trial preparations, which include reviewing documents, answering written questions, conducting depositions and arguing pre-trial motions. The University of Baltimore Law School's Quick Guide to Civil Litigation (PDF) describes what civil litigation attorneys do and how to become a civil litigation attorney. The Litigation Section of the American Bar Association has a series of videos that provide an insight into different aspects of civil litigation. Judges preside over civil, criminal, and administrative cases. They decide what parties can use as evidence in trials. Judges make sure lawyers follow court rules during hearings and trials. They make rulings on issues that arise before, during and after a trial. Judges work in federal and state courts as well as administrative agencies. The American Constitution Society put together a video, The Path to the Federal Bench, which describes how to become a federal court judge. The U.S. Department of Labor describes the education and skills needed to become a judge.